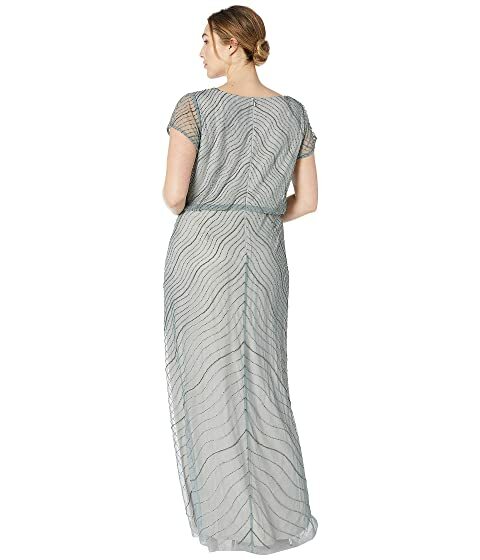 Shine brighter than the rest in this Adrianna Papell® Plus Size Beaded Blouson Cap Sleeve Evening Gown. Formal evening gown in a figure-loving blouson silhouette. Bateau neckline and sheer cap sleeves.